Stevie Wonder, Aretha Franklin, Berry Gordy, Jr., George Lucas, Jamie Foxx and Clarence Avant will serve as celebrity co-chairs for the Dedication of the Martin Luther King, Jr. Memorial in Washington, D.C. next month. The Memorial, the first on the National Mall to honor a man of peace, hope, and color, will be dedicated on August 28 in a West Potomac Park ceremony on the 48th anniversary of the March on Washington and Dr. King’s historic “I Have a Dream” speech. Members of the King Family, civil rights leaders including Congressman John Lewis, Ambassador Andy Young, Reverend Al Sharpton, Reverend Jesse Jackson, and Reverend Joseph Lowery, and Secretary of the Interior Ken Salazar will play a role in several events in the nation’s capital to celebrate the Memorial’s dedication through August 28. Former Secretary of Labor Alexis Herman, General Colin Powell, Tom Brokaw, Maya Angelou, Alpha Phi Alpha General President Herman “Skip” Mason, Jr., Tommy Hilfiger, General Motors Chairman and CEO Dan Akerson, leaders of the faith-based community and more will participate in Dedication Week events. President Barack Obama will deliver remarks during the August 28 Dedication Ceremony. 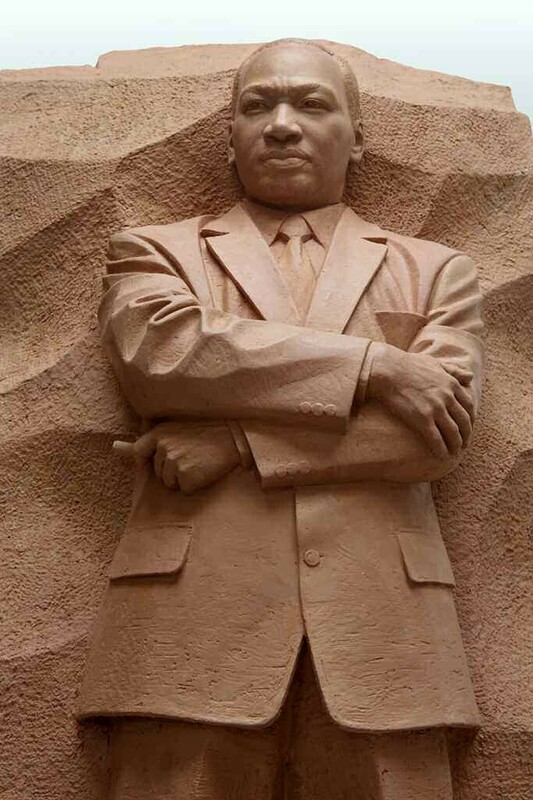 “We deeply appreciate the support of Stevie, Aretha, Berry, George, Jamie, and Clarence, leaders from the entertainment community, who believe in and portray Dr. King’s universal messages of democracy, hope, justice, and love,” said Harry E. Johnson, Sr., president and CEO of the Washington, DC Martin Luther King, Jr. National Memorial Project Foundation, Inc. The Martin Luther King, Jr. Memorial will be dedicated on August 28 at 11 a.m. A prededication program will commence at 8:45 a.m. and a postdedication concert will follow the ceremony. For more information about the Martin Luther King, Jr. Memorial Dedication and Dedication Week events, please visit www.DedicatetheDream.org or contact Sara Neumann at sneumann@susandavis.com or 202.414.0788.